A young computer hacker and her journalist friend find themselves caught in a web of spies, cybercriminals and corrupt government officials. 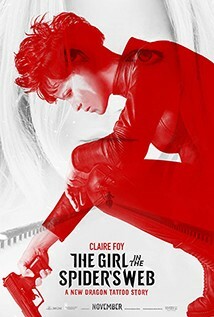 Lisbeth Salander (Claire Foy), the cult figure and title character of the acclaimed Millennium book series created by Stieg Larsson, returns to the screen in this first-time adaptation of the recent global bestseller. Sverrir Gudnason plays the role of journalist Mikael Blomkvist.